Future is the king of trap music, autotune, and turn up records. He is prepping the release of his new album The WIZRD, which is slated to drop on January 18. Future already dropped off two singles, "Crushed Up" and "Jumpin On A Jet," and he's currently on a light promo run for the album. While Future was doing an interview with Big Boy on his radio show, he touched on several topics such as the climate of the music industry. Future also admitted that two other artists currently have the trap music crown. "Who the GOAT, now?" pondered Future after being hit with the question. "I don't know. What you mean by, 'who the GOAT now?' From what, the music or the money?" asked Future, making a distinction between Trap rappers and trappers in general. "Music? I give it to Lil Baby. 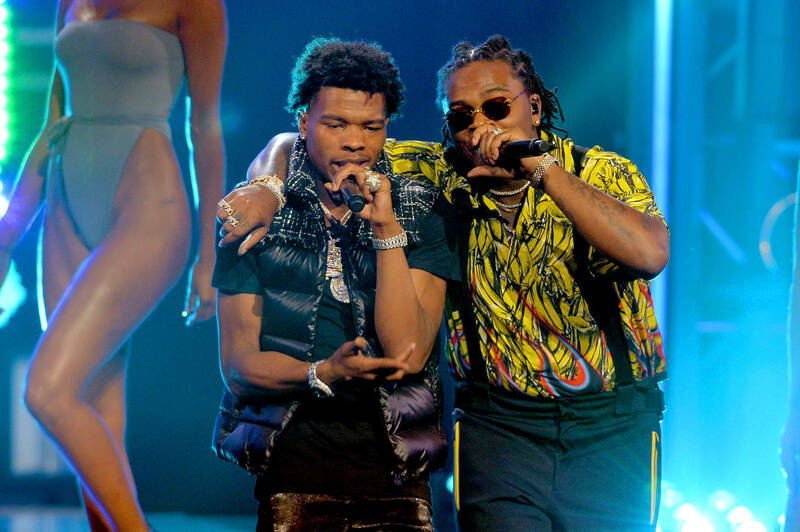 Lil Baby and Gunna." When asked if he considers himself up there, Future responded, "Of course. I already did what I did. I done been the Trap GOAT. I'm solidified. But right now, they them dudes. They the next dudes to get the new deal, the new money, the new this, the new that." Do you agree with Future?